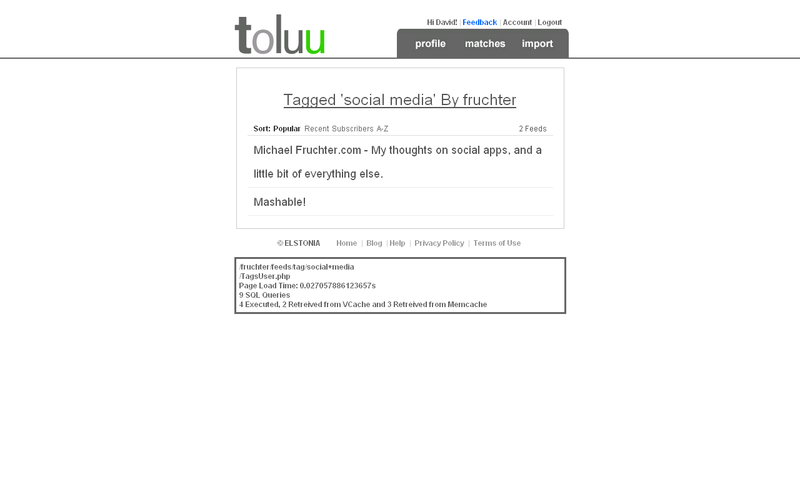 Touting Today’s Top Tech Triumph, Toluu Tackles Tagging! Toluu’s tags, totally tremendous! Today’s timesink: tagging Toluu totality! Ok, enough of that, this really is great news. Caleb Elston, Toluu’s founder, tells us that tagging was the most requested feature for Toluu. I’m very impressed with the implementation as tagging really permeates the site now, it’s feels like a true integration, not a hacked together add on. When adding tags, the auto-complete will cut down on typos. 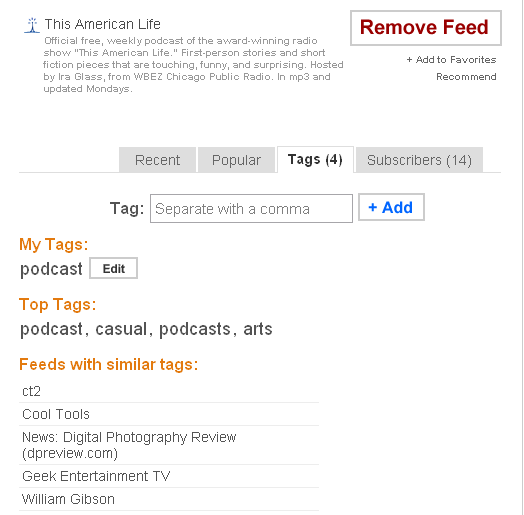 Along with tagging you’ll see better sorting options on many pages. A word of warning, if you reimport your OPML you will lose your exsisting tags so you’re gonna want to sync everything before you get started and then use the bookmarklet (or single add) to add new feeds to your Toluu account. 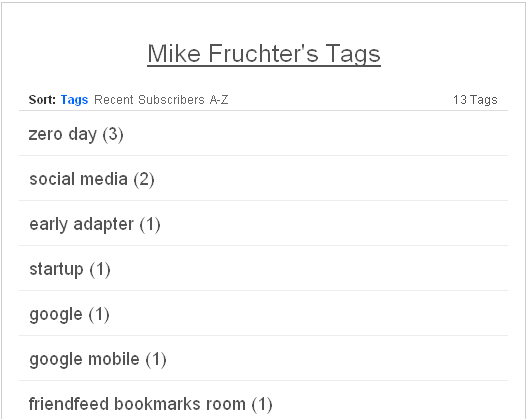 You can click Top Tags to see all of a user's tags. Notice the new sort options. I’m sure I missed some things but that’s a good rundown of some of the most important additions. This is a big upgrade in usability for Toluu but it relies on Toluu users taking the time to tag their feeds, something that provides only a small amount of additional functionality for themselves. As people use the tagging system you’ll see Toluu making changes to get the most bang out of it. I’ll go ahead and predict that grouping of tags that are similar except for extraneous characters and plurals will be added. 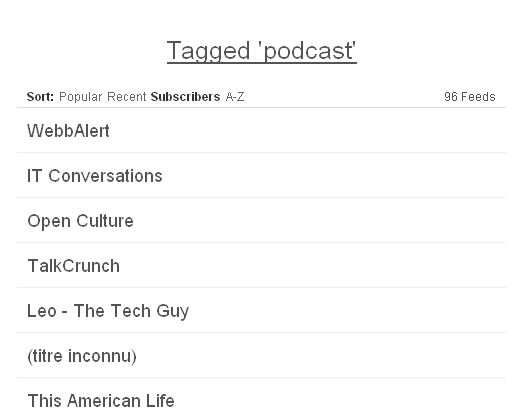 Enough of me, go play with it yourself and get tagging – I need to find some new podcasts! Kudos again to Toluu for adding enhancements that really increase the usabillity of the site, and don’t forget to Toluu ‘The Knight Knetwork’, those silent Ks actually speak volumes. Since participating in RSS Awareness Day I have found myself much more aware of the lack of RSS! There are so many things that are pushed to me by e-mail that I would rather have the option of pulling by RSS reader. I know both technologies have a push and a pull aspect but the bevy of e-mail notification tools make e-mail the pushier option of the two. I’m not after a mass switch here but options, give me more options! Anything on the web that can change should have an RSS feed available. Social Networks – RSS is starting to show up more, but what these networks need are the options to filter by each item that can be updated and to create multiple feeds. 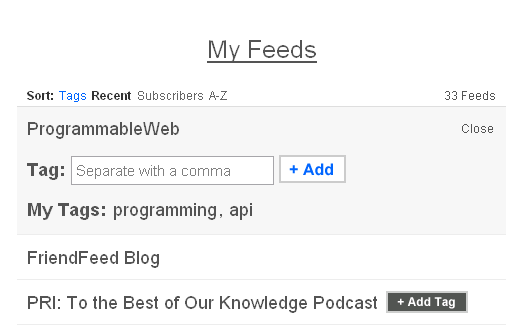 For example if you are on Facebook you should be able to subscribe to an RSS feed(s) that you set up from your newsfeed. You might want one feed for everything and I might want everything in one feed except to peel off status updates to second feed. A widely implemented SRSS (Secure RSS) – Feeds of from your bank, credit card companies, and investment firms are among a few useful places for Secure RSS feeds, there are any number of other uses including private corporate feeds. If there is one single item needed to push RSS more to the mainstream, this is it. Advertisements – The ability to mass ignore posts in RSS also makes it the perfect vehicle for the spammy type e-mail services you may tolerate. I like to see what Dell has for sale and the current prices on all the random computer gear at the new CompUSA.com, but I delete those e-mails unread for the most part, it would be much better to scan them and trash them in bulk in an RSS feed. DRSS (Dynamic RSS) – I don’t know if this is a coined phase or not, but this is a feature that’s just starting to pop up and that I hope to see a lot more of, an RSS feed that builds itself from a site’s content and your interests. I currently get an e-mail from Bankrate.com when they write about 529 college savings plans, make this an RSS feed for me instead! Call it filtering or call it search, either way you’re making the feed dynamic for my interests. With RSS bloat and purges this type of focused RSS will keep me reading and less frustrated. These are my major wishes for RSS, what are yours?